Tangy and spicy Aval upma with mango infusion. Poha is always a handy ingredient in my kitchen, as it makes delicious meal instantly and it blends well with any combination. 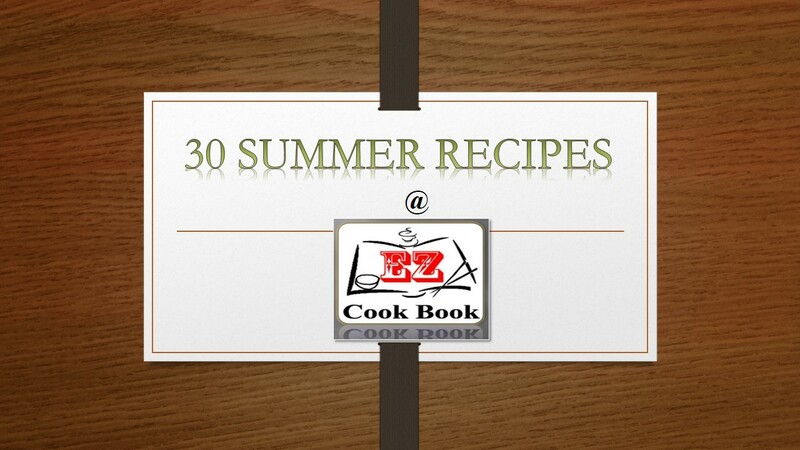 I personally finds it to be an easy option for making tiffin recipes. Usually we all have tried mango rice, but never thought of with Aval/ Poha rite. 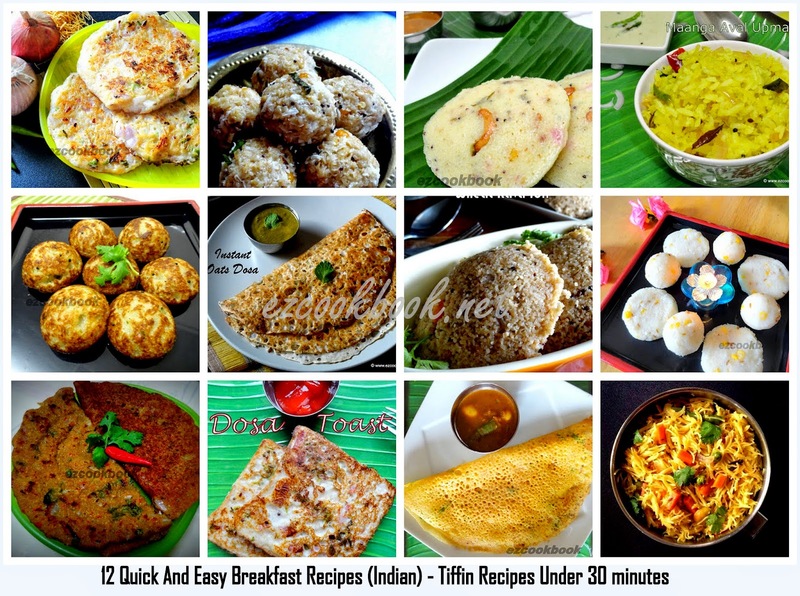 Infact this upma is much more easiest choice that takes less than 15 minutes. I'm sure that this maanga aval would defiintely going to be hit at home. check for other raw mango recipes. A Crispy Bread Cups filled with creamy Russian Salad. A sumptuous bread delight!! Here the bread is converted into a crisp snack with little effort. Fill them with your favorite savory or cheesy filling and serve it as a starter or appetizer. Or simple fill them with fruits and ice cream, or melted chocolate, or fruity mousse and serve as a dessert. Go creative as much you can to fill them up and make your loved ones happy. Here I made Russian salad bread cups. Check out below how to make crispy bread cups. Vaangi Bhath , a popular recipe from the state of karnataka. The Word Vangi means Brinjal. The cooked rice mixed with home made spice powder and brinjals cooked in tamarind sauce to give birth to this excellent spicy rice "Vangi Bhath". Brinjals are my favourite veggie and almost once in a week I do cook with it. 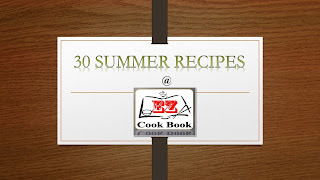 Check here for my other Brinjal recipes and rice recipes. dressed up with creamy mayonnaise & yogurt. Russian salad, also popular as a Olivier salad is a traditional side dish from Russia and very famous worldwide. This tasty and creamy salad is quick and easy to make. Yogurt gives the Russian Salad an extra burst of flavor. It goes great at any occasion. Suitable as a side dish or filling of tart, sandwich or anything. I served it in crispy bread cups in kids party and it was a hit. Try this easy recipe to make Russian salad. Rice vermicelli or commonly known as “bee hoon” or “bihun” by the locals in Singapore, these thin noodles made from rice. Plain fried bee hoon is one of the staples (along with rice and other fried noodles) that you can choose from when you order food at “economical bee hoon” or vegetarian food stalls in Singapore. Even though the bee hoon is so-called plain, they taste nice on its own due to the soy seasonings. But can be accomplished with any side dish of seafood or gravy vegetables. This is also great party food as it is filling and complement all the other finger foods that you have prepared, plus the noodles can be left be left on the table for a few hours without becoming soggy. Also great idea to pack into your kids lunch box. A quick and easy cold pasta salad with tomatoes, bell peppers, garlic, cucumber, basil. Great to have for brunch, luncheons or whenever you feel to have. Best to have during summer time that really keeps you cool. You can do this salad in whatever way you find, but I never finds it to be difficult any more. This pasta-based salad is packed with Mediterranean flavours and suitable for a large party. This is one such easy salad that disappears so soon I place it. 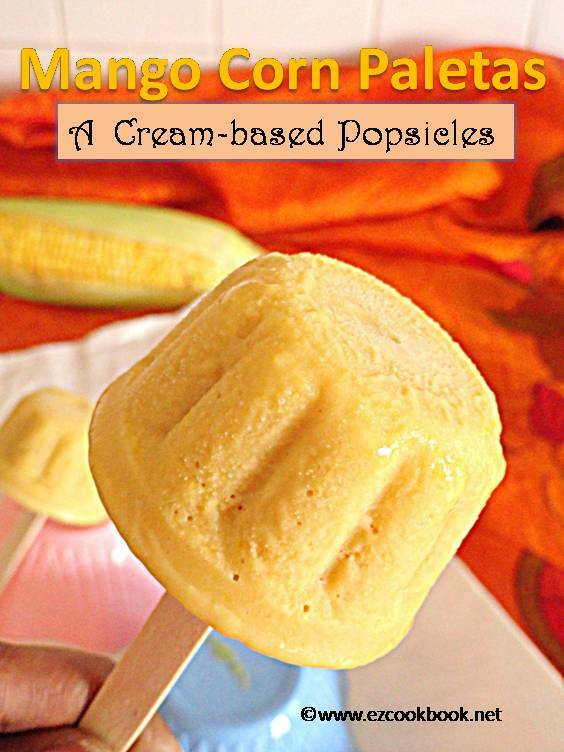 A creamy milk based ice pops of using corn and fresh mango. Paletas - American cream-based popsicles, has an extreme taste with every lick. I first saw this pops in a Ice pops recipe book. The one I saw has got only two ingredients corn and milk with sweeter, but here I tried with mango, corn and milk combination. This resulted extremely good and the beauty of popsicles lies with its lick. We adults become kids while licking it. Felt like posting it now for this perfect weather to beat the heat also to enjoy the Mango Season. One of the easiest one to try with less ingredients. Absolute homemade Ice pops to please the taste buds. Kick start your party with this healthy starter, or serve them to your hungry kids when back from school, or simply assemble them in a burger and pack it in kids lunch box. Oats Moong dal tikki is very healthy as they are rich in fiber and protein as well. It is also versatile as you can call it tikki, patty, cutlet, kebab and give them any shape as you wish to give a smile to your loved ones. Try this recipe to make healthy and versatile Oats Mung Dal Tikki. Pumpkin is a vegetable which my family members never like to see and eat. But I never want to keep away my family members from its health benefits. So I always use it to thicken my curries. I was planning to make pumpkin soup since long but I knew my son will immediately recognize its flavor so was hesitating to make it. Last week I came across this roasted pumpkin with tomato soup and I tried it on the same day...Amazingly it did a wonder in my house. Its barbequed and roasted flavored along with tangy tomato gave a unique flavor to soup and everyone enjoyed the soup. It is healthy, tasty and filling and am sure you and your loved one will ask more n more...Try this recipe to make Roasted Pumpkin Tomato soup. Watermelon is one of the Summer's greatest pleasure. We normally buy the big big watermelon and best easiest way is to serve it simply in slices. But we can not finish whole of it in one go and don't like to eat the slices again and again. Try out this watermelon summer delight recipe which is made from watermelon, apple and citrus juices. The combo makes a great Summer Cooler Drink. Chesse macaroni is very famous all over the world. I make it frequently for my son as it is his favorite dish. But this time I make it with little twist and made a Fusion Macaroni by replacing white sauce with Indian style fenugreek yogurt sauce which is very famous as Methi Kadhi. Try this fusion recipe of Baked Macaroni with Indian Methi Kadhi.